Can I use an indefinite article with a plural noun? 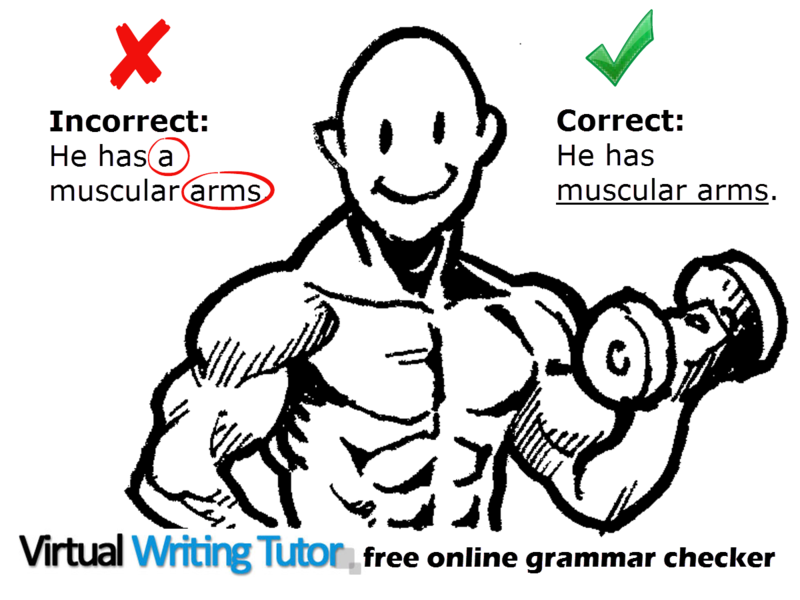 Incorrect: He has a muscular arms. Correct: He has muscular arms. Rule: Use a partitive structure with words that are never singular. Correct: She wore a pair of blue jeans. Exception: Words like “series” and “species” look plural, but they are also singular and can be used with an article. Correct: I found a series of books at the bookstore that I really enjoy reading. Correct: The Golden Palm Weaver is a species of bird in the Ploceidae family. Exceptions that defy explanation: An amazing two days, an awkward ten minutes, a whopping twenty-five pounds, a good many books, etc.